Whether a child hits others, uses inappropriate language, or throws a tantrum, all educators have to address challenging behaviors in the classroom. 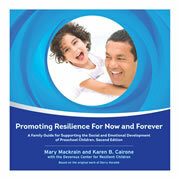 Social-emotional learning and self-regulation tools help teach children about resilience and how to appropriately manage their behavior and emotions, but those resources may not be enough to effectively address the challenging behavior. 1. Encourage active learning in the classroom to provide children with fewer opportunities to engage in challenging behaviors. DeMeo describes active learning as &apos;...fast-paced, fun, supportive, and personally engaging. Often, children are out of their seats, moving about and thinking out loud.&apos; Children learn best when they are actively learning, and their participation in active learning means that children have fewer opportunities to behave inappropriately. To integrate active learning in your classroom, you should incorporate the concepts children are learning into activities and learning centers. 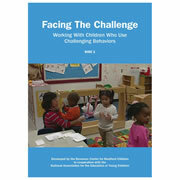 This allows children to have choices in what they are learning and participate in more self-initiated activities. Active learning will also provide an enjoyable and engaging learning environment for children. 2. Increase awareness and responsiveness by adopting a MIS (Moving, Interacting, and Scanning) supervision strategy. Moving - In active supervising, you should constantly be walking around the classroom to ensure that your presence is known to children. Make a conscious effort to visit problem areas often and move around the classroom unpredictably, which means children won't know where or when you'll be in close range. 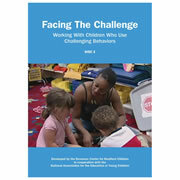 Interacting - Active supervision also requires interacting with children. 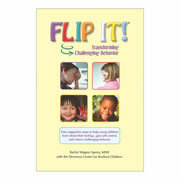 You should teach children about any expectations you have of them and make an effort to talk to them informally. Interacting with your students will help you build a positive relationship with them while also giving you the opportunity to prevent challenging behaviors. 3. Give children plenty of appropriate opportunities to move around and expend their energy to help prevent any behavioral problems from occurring. Physical activity can help children (and adults) relieve stress, refocus their attention, and better enjoy learning. Incorporating physical movement in activities throughout the day is a great way to decrease challenging behaviors in the classroom. Remember that some children need movement in order to effectively process new information they are learning. Try to limit activities that may bore children (i.e., the activities that require children to sit or be still for long periods of time), and exchange those for activities that give children choices and opportunities to explore, practice skills, and figure out things by themselves. 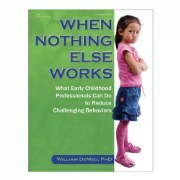 For more information about these prevention techniques and how to address challenging behaviors in the classroom, read When Nothing Else Works by Dr. William DeMeo and check out our other challenging behavior resources.